This is a sponsored post for Plaid and Blue Print Social. 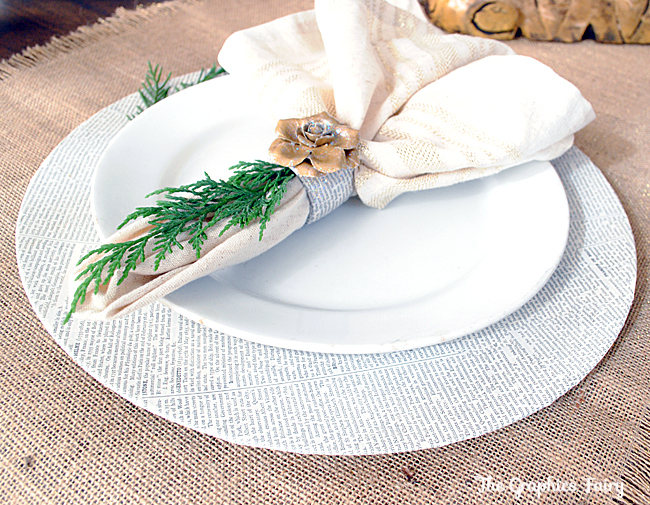 Today I’m sharing a fun and easy project with you that’s perfect for your Holiday Table! 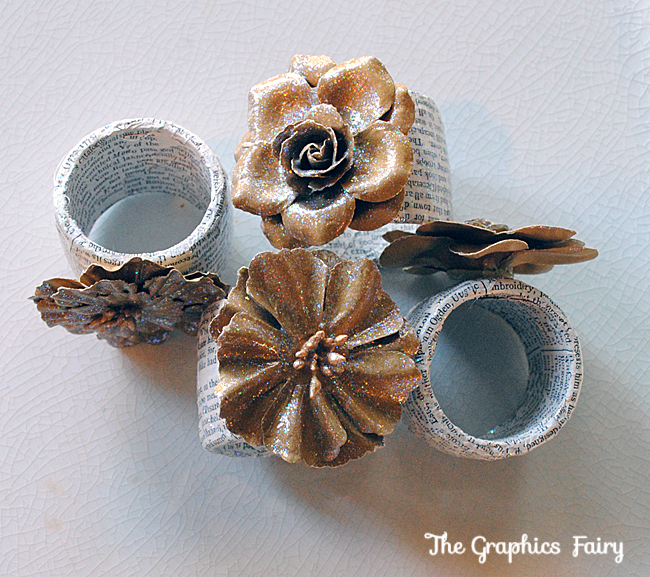 I made some glittery Book Page Napkin Rings with sparkly Flower embellishments, using Glitter Mod Podge! The Full tutorial is below. 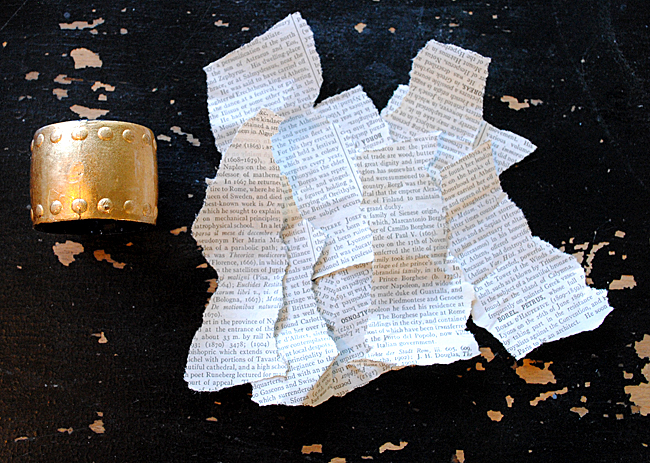 Step 1: Tear the Book Pages into strips. 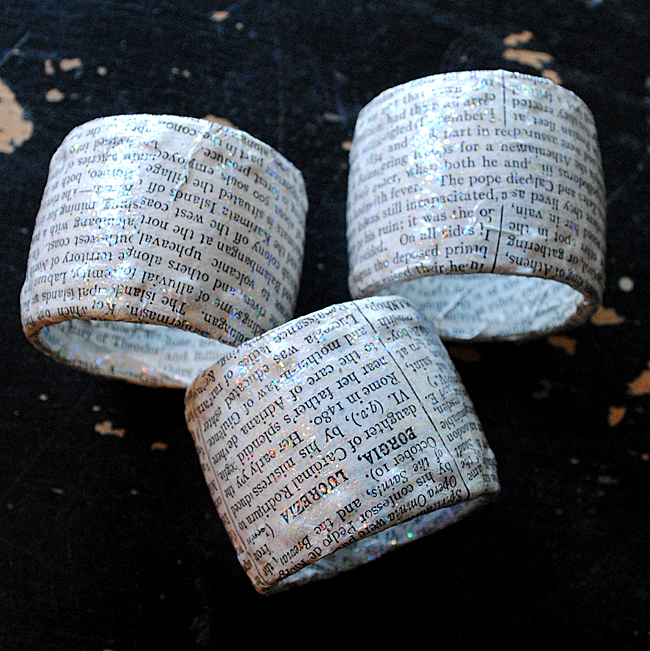 Step 2: Apply the book pages to the napkin rings with a paint brush and the Glitter Mod Podge, and smooth as you go. I wrapped mine into the inside of the ring to cover that as well. Mod Podge is the number one all-in-one glue, sealer and finish, so you don’t need any other products for applying or sealing the book pages! Step 3: Let dry. 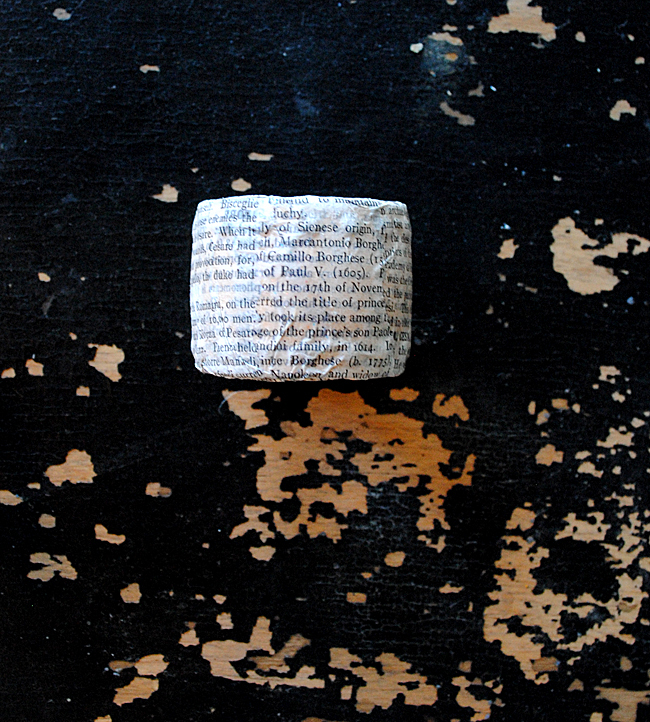 If you need a second layer of paper, you can apply that after it’s dry. 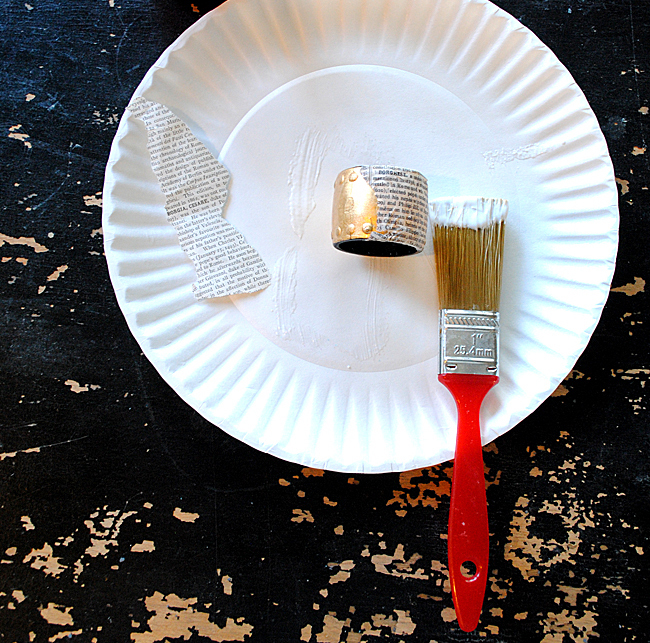 Step 4: Apply several coats of the Glitter Mod Podge and let dry in between. This is where the magic happens! You won’t notice a whole lot of sparkle with the first coat, so keep adding coats and watch all the sparkly goodness appear! Step 5: Optional depending on the embellishments that you are using. 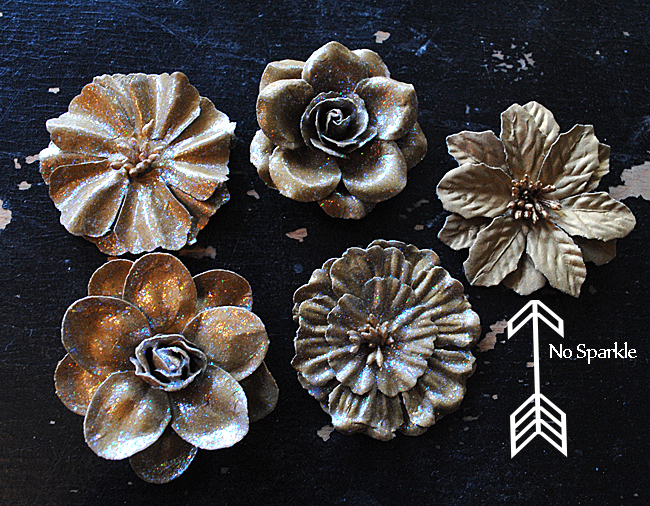 I used some gold paper flowers, but they were a little bland so I decided to add some sparkle to them too! I added several coats of the Glitter Mod Podge to them as well, and I love how pretty they turned out! You can see the one on the right, without the Mod Podge. So much prettier with it! 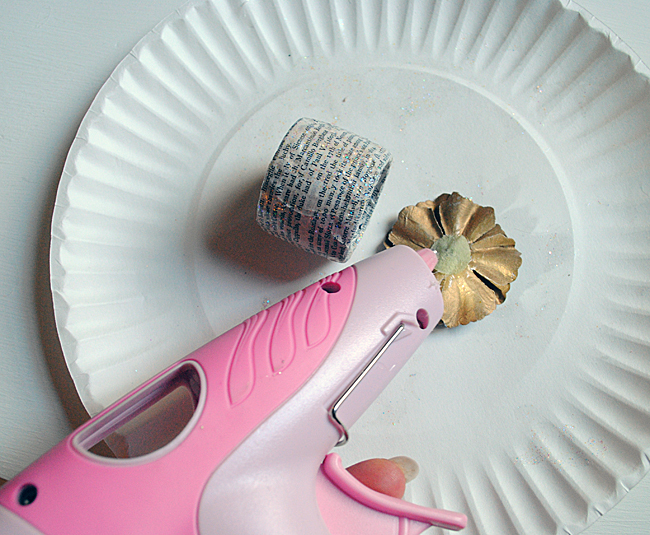 Step 6: Once dry, use your Hot Glue Gun to adhere the flowers to the Napkin Rings. You could also wire them on instead, for more stability. There you go! 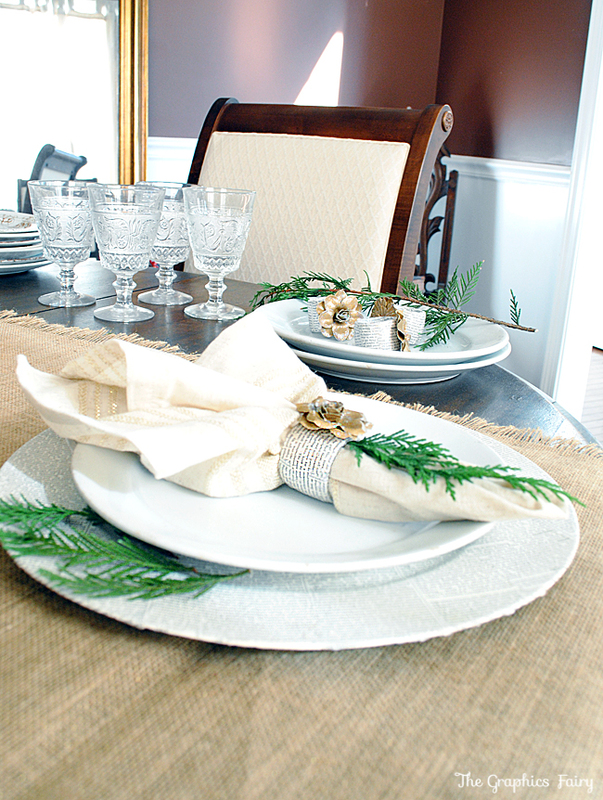 All sparkly, glittery and pretty for your Holiday Table! 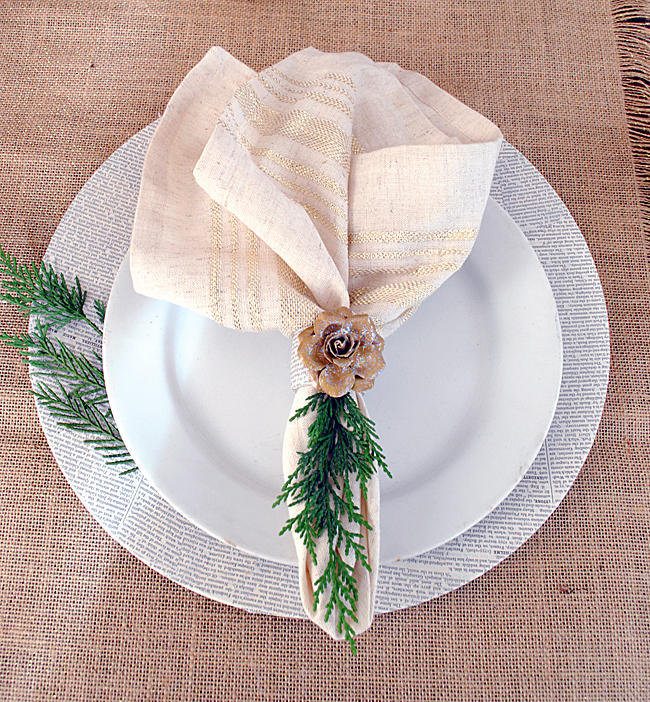 I placed my Book Page Chargers underneath and added some gold striped napkins, as well as a bit of greenery from my yard. 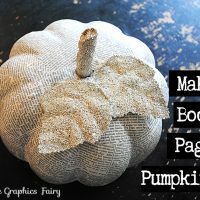 I hope you enjoyed this fun and easy project! 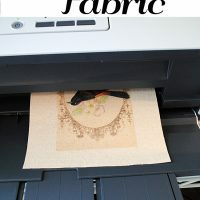 For more information about Plaid Products please visit them on Facebook, the Plaid Blog, or subscribe to their Email Newsletter. Want some more inspiration? 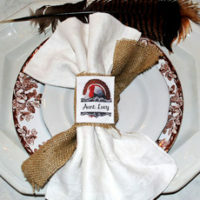 Check out the links below to see more fun Holiday Projects!